By Matt Reimann. Oct 10, 2017. 9:00 AM. When Russian filmmakers delivered to the state censors a screenplay for a biopic about the writer Ivan Bunin, they were immediately shut down. Their objection was not to Bunin’s controversial work, but rather the film’s treatment of him: their saintly Nobel laureate portrayed as an egotistical, philandering, drunken, emotionally reckless artist. This portrait was not too exaggerated, but the film ministry was clear. They could not allow a movie to deface the image of one of Russia’s most prized artists. The film, His Wife’s Diary, was allowed funding, thanks in large part to a high-ranking fan of the script in the ministry, and was released to critical acclaim in 2000. 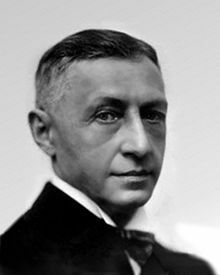 But abroad, at least to most Anglophone readers, Ivan Bunin is not so much revered as obscure. We know of his older contemporaries, Leo Tolstoy (4o years his senior) and Anton Chekhov (10 years senior), but not their most immediate successor. His readers took note, however. Upon the publication of Bunin’s 1915 novella, The Gentleman from San Francisco, a contemporary critic remarked, “It has been more than ten years since the end of Chekhov's creativity, and in this period, if we were to exclude everything that was published after Leo N. Tolstoy's death, there has not been an artistic work in the Russian language that is equal in power and meaning to the story The Gentleman from San Francisco.” In 1933, Ivan Bunin became the first Russian writer to win the Nobel Prize. 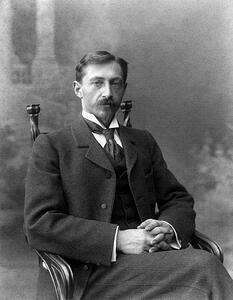 Like many Russian writers, Ivan Bunin was born into nobility, coming from a lineage that claimed two other literary luminaries: Anna Búnina and Vasíly Zhukovsky. Similar to other writers, he was precocious and began writing poems around the age of 16 or 17. He met his idol, Leo Tolstoy, and became a dedicated partisan of the writer’s work, even risking arrest by illegally distributing his writings. He finally avoided persecution because of a more generous punitive mood upon the ascension of Czar Nicholas II, and fell in with the writers of his day. It was during these cosmopolitan nights in Moscow and St. Petersburg that Bunin began to double down on his artistic vision. As young Russian writers strayed from the realism of Tolstoy and became more avant-garde, Bunin stood unwavering in his belief in the power and the writer’s responsibility to be faithful to reality and language. It is from this core philosophy that Bunin built his reputation as one of the finest Russian prose stylists the language has ever produced, and produced the enduring body of work that would win him the Nobel Prize. He approached his work like a true stylist. Though he wrote short stories, until the turn of the century, poetry was his preferred literary mode. He liked to write about the Russian landscape, especially as forged by memories of life on noble estates. But a transformation occurred, following a two-year cessation of writing to attend to his spiritual growth, in part inspired by Tolstoy and Flaubert. The Gentleman from San Francisco remains one of the writer’s most beloved works, and found immediate acclaim, with D.H. Lawrence executing an English translation. The Great War took a toll on the writer’s conscious and spirit, and the crisis compounded itself with the advent of the Bolshevik Revolution. He fell out with his friend, Maxim Gorky, who supported the insurrection, and left Russia as an exile, eventually settling in France where he would spend the rest of his years. It was a great spiritual boost to Russian emigres, who saw themselves vindicated by a writer who while still in exile exerted himself fully, as evidenced by work like The Life of Arseniev, a revered semi-autobiographical novel. Soon, Bunin was invited back to the Soviet Union, after weathering World War II in his French villa, where he and his wife hid Jewish refugees and scraped by by growing their own food. His reputation would recover for the Russian people, who cherish him. One hopes that translators and foreign readers will come soon to realize what Andre Gide, the French writer, said of Bunin many years ago: “I don't know of any other writer ... who's so to the point in expressing human feelings, simple and yet always so fresh and new."